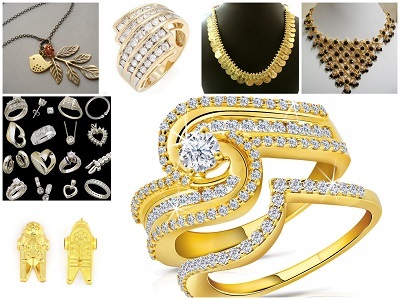 Vijayawada has several jewelry showrooms offering a wide range of gold, silver, diamond and platinum jewelries. Some of the fastest selling jewelries across the jewelry showrooms in Vijayawada include necklaces, bangles, rings, cuff links, anklets, toe rings, amulets japa malas, signet rings, pledge poins, camoes, emblems, pendants, bracelets, gold and silver coins, waist chains, gold watch, armlets, noserings, ear chains and so on. Find below the list of most trusted Jewelry Showrooms in Vijayawada along with their location and contact details.